"I think the most interesting things about this Renault are what it is and what it is not. It's not a race car--even though it's named a "Vanderbilt Racer" and certainly looks the part. Several of its sister cars were raced and it could have been raced, but it was not designed or built as a race car. 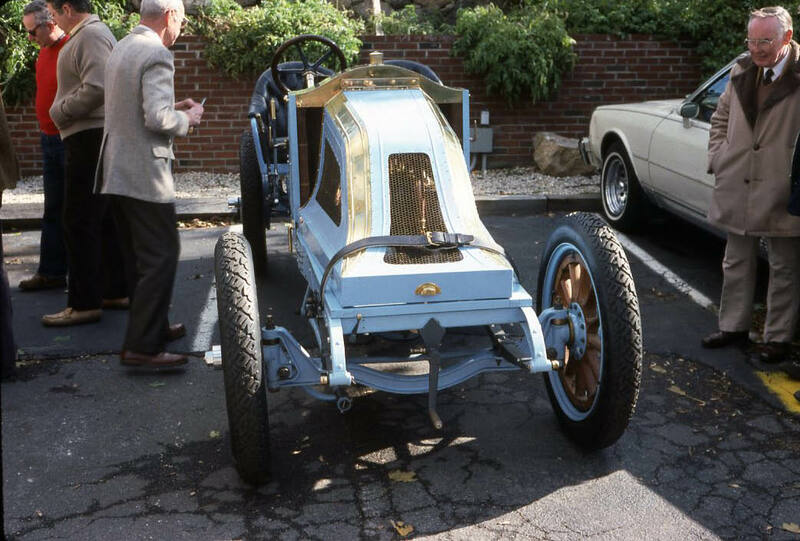 It was sold to very wealthy "sporting gentlemen" for fast road use." Long Island vintage car colletor Ray Lindsey (right) was seen checking out Ledyard Pfund's Renault. 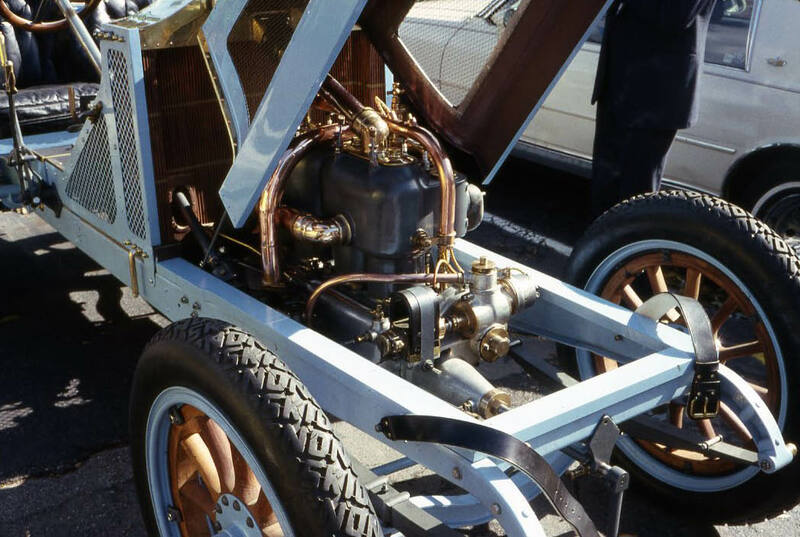 Under the hood of the "Vanderbilt" Racer. 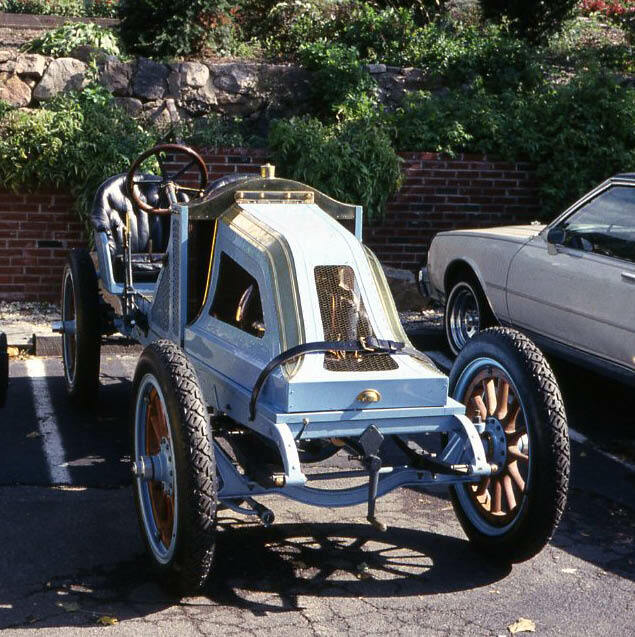 Does anyone have a history of this car and where it is today? "His venerable vintage meant that he could be a member of the Automobile Racing Club of America and a spectator at the ARCA's famed Round the Houses race at Alexandria Bay. Ledge had his own Ford Special ready to race "round the houses" in '41, but Pearl Harbor intervened." "Following the war, he joined the Sports Car Club of America, serving as a race official, vice president and editor. A mechanical engineering graduate, Ledge joined the national automotive department of United Parcel Service in 1956 and rose to become UPS chief automotive engineer, a position he held for twelve years. Historic cars consumed him avocationally, and his interest was eclectic. His collection ranged from a Scripps-Booth and a PB Plymouth to a Lotus Elan and four turbocharged Corvairs." 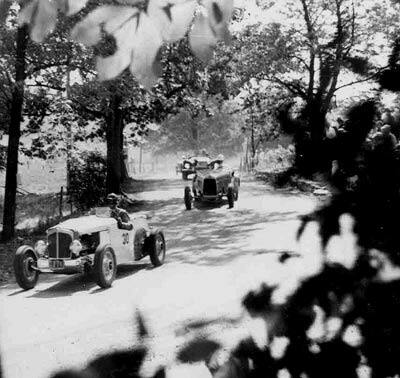 In this photo, Ledyard Pfund can be seen driving his #30 1934 Ford V8 at the 1949 Watkins Glen Grand Prix. I knew Pfund, he was a friend to the family for many years. I remember his Renault and his restoring of it.